I am Spanish-Canadian and I have lived in Madrid, Toronto, Montreal, as well as in the UK, in London, Lancaster and Nottingham. I currently live in Jerez de la Frontera, in the province of Cádiz. My private practice is in the centre of Jerez, near the train and bus stations as well as the regional motorways. I have trained as a counsellor in Integrative Psychosynthesis at the Institute of Psychosynthesis and the Psychosynthesis Educational Trust in London (PG Dip University of East London). 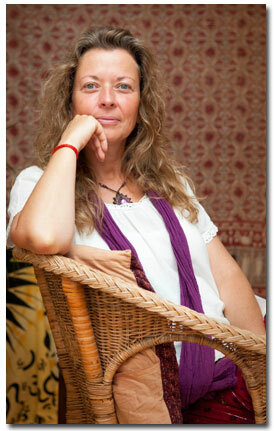 I am also a yoga and meditation teacher, yoga therapist and yoga nidra teacher. My integrative approach has humanistic, transpersonal, psychodynamic, person-centred and relational components. This means that I can focus on my client's personal history as well as present needs, his/her individual path of development and his/her potential for growth. I can work short-term with cognitive-behavioural techniques when needed, as well as long-term, giving more weight to what my client and I are able to cultivate in our relationship. Over recent years, I have continued my professional development training in Gestalt, Transactional Analysis, Jungian Analysis, Cognitive-Behavioural Therapy and Couples Therapy. Currently, I am further training in Body Therapy as well as in Integrative Supervision. I believe it is a privilege to be able to accompany my clients in their personal journey of growth and awareness. I am happy to work with individual clients as well as with couples, in English or Spanish or alternating both. Although we can talk about any issue, I have specialty training in addiction and a personal interest in spirituality. European Association of Counselling (EAC). I appear on the BACP Register (www.bacpregister.co.uk) with number 047248. As someone trained in the UK, I abide by the Code of Ethics of the BACP.